How do you sell a dream? A luxury lifestyle property developer in Las Vegas recently needed to find the answer to this very question. 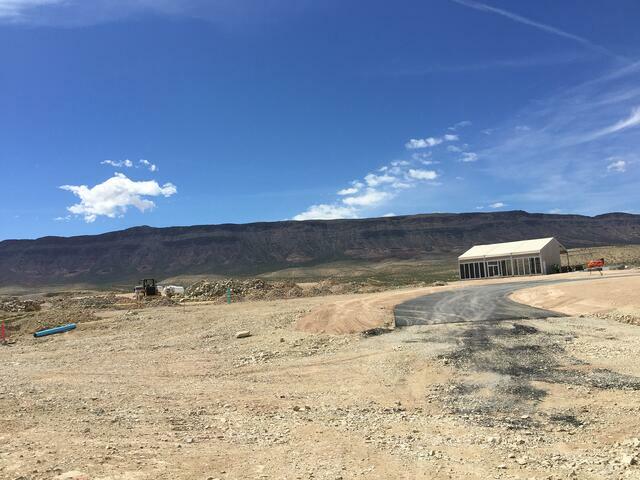 Our client was developing a hot new community in beautiful Red Rock Canyon. The heart of this property featured a new golf course and many other active outdoor hobbies. This developer was ready to market this stunning community to potential buyers, but, there was one problem: No luxury residences or golf cottages had been constructed yet. The developers had an innovative idea for a sales strategy: a series of open-house events, designed to help guests get a sense of the luxury experience of their future home. They planned to bring groups of prospective buyers to the site to play a round of golf, then meet with the sales team about opportunities to purchase a home. Before launching this initiative, they needed a beautiful space to conduct business. But, this couldn’t be just any ordinary space. Whatever they did couldn’t compromise on quality, and it had to fit the environment– a luxury golf community in a beautiful desert setting. They didn’t want to delay business until they could construct a permanent brick and mortar office, so they needed a solution that could offer a fast turn-around time, the optimal solution was a portable structure. Mahaffey has a long history of making the impossible possible. 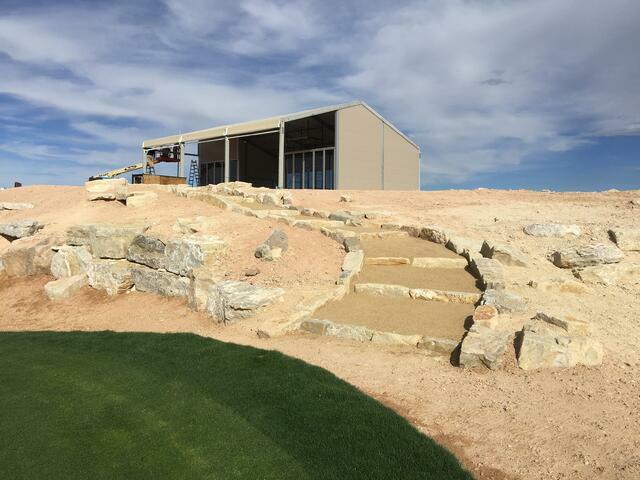 Because of our ability think outside the box and create one-of-a-kind custom designs that fit practically any specification, we were able to construct a beautifully crafted “Pro Shop.” The complete clearspan structure was built atop a plateau in the canyon area overlooking the golf course. Windows in the front and back showcased Red Rock Canyon on one side the glittering Las Vegas strip on the other. Even though no real road existed to get to the building site, and the area experienced record high winds, the Mahaffey team delivered the project on schedule. Structural complexities, such as running insulated panels up both sides to the peak of the ceiling and the columns on the front porch. An expert project management team to create, plan, and execute the perfect solution. 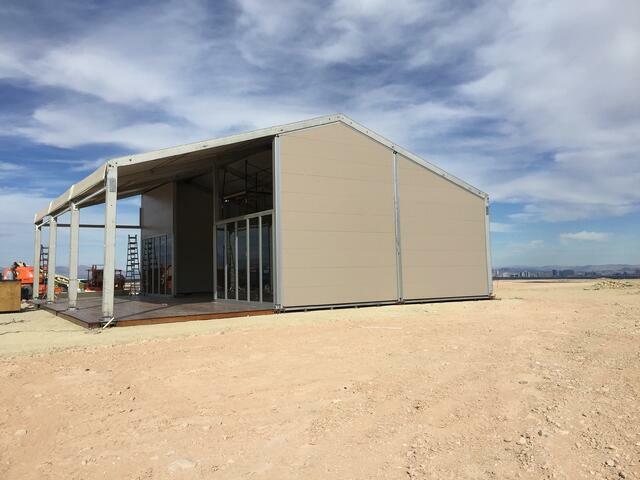 This stunning temporary structure was tough enough to accommodate the needs of the client until a permanent building was complete. No company should have to delay its goals due to facility challenges or lack of the ideal space to do business. 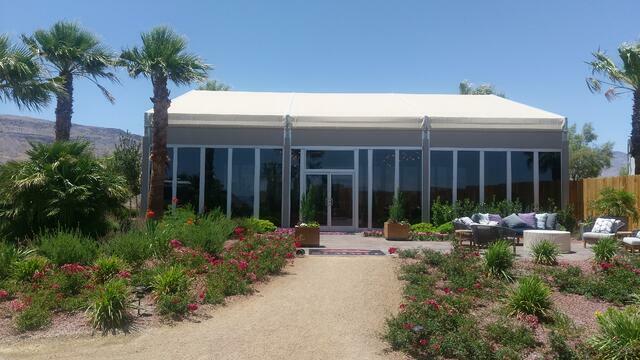 Temporary or semi-permanent structures can be custom designed to fit even the most unique business needs. 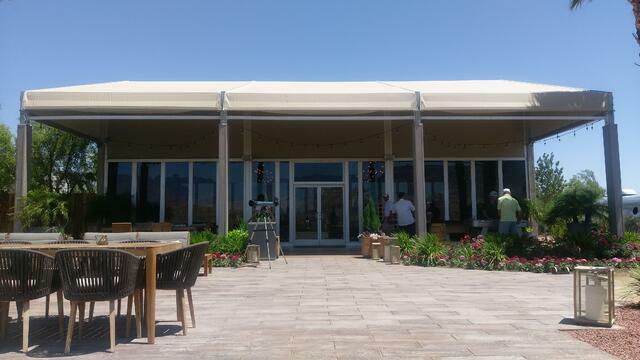 This client’s decision to partner with Mahaffey to build a temporary structure that showcased luxury appeal turned out to be the ideal solution for their immediate sales initiative. Want to speak to a specialist today about Mahaffey's structure solutions for your custom needs?